Have you watched the movie the Golden Compass starred by Nicole Kidman and this wonderful girl named Lyra? It`s about a parallel world out there similar to ours. The only difference is that they have companions throughout their lives called demons whom they could talk with. These demons are in the form of tigers, rats, racoons, canine, etc. In our world, these demons are within us not without. Modern technology is so fragile and unreliable. I watched that movie Stargate, wherein an alien residing inside the body of a boy had to lay down himself inside this chamber to stop the process of ageing. That`s why the alien maintained his youthful look. Similarly a body severely traumatized or dying if put into that chamber is repaired back to normal. No resuscitations or surgey done whatsoever on that body. Well, it`s just a matter of time when modern technology perfects this type of machine. Then we shall all live forever! Just be careful you don`t get run over by a speeding bouldozer! Learner always begins by finding fault but scholar sees positive merit in everything. It took weeks months for navigator Ferdinand Magellan and his spanish companions to reach the shores of Cebu, Philippines and insult the natives with their religious crap. Now, with the help of the Internet, it takes only several minutes to return that rap. 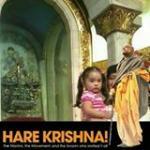 That His Divine Grace AC Bhaktivedanta Swami Prabhupad was the Christ who came to redeem us for the 2nd time. That all who believe in him will be saved! Toys from China are radioactive. They had to cover them with lead! Man`s developing sophisticated technology because he`s planning to go to outerspace. Planet earth is dying. I watched that movie Stargate and it seemed so real to me. Of course, we can go to the other planets only if we lose this body by accident or suicide. All we have to do is tune-in to say, Pluto or Polestar, then give-up this body ASAP. But first we have to have a vision of these planets before we could go there. As I said, modern technology`s contribution is that someday Mankind can immediately evacuate planet earth anytime the moment she becomes inhabitable, " Spark, activate Startrek and let`s go to Dhruvaloka!" Aye, aye, captain!" Nothing is permanent except change. No one is comfortable anymore these days whenever he/she goes out without bringing with him/her his/her celphone. Swami Prabhupad as far as I know advised that we should use anything modern technology has to offer if only we use them for propagating Krsna consciousness only. If they are lazy! Hahaha! I graduated medicine in 1983. I took my post-graduate course in medicine in 1984. Before that I graduated BS in Medical Technology. I took the licensure exam for physicians in 1985 and failed. I retook it again on December 1986. I got my license to practice the art of medicine on Jan 1987.